The above headline may be a bit confusing, but it is instructive as to the basic point that the Foreign Corrupt Practices Act has always been a law much broader than its name suggests because of its books and records and internal controls provisions. These provisions, applicable to issuers, are among the most generic substantive legal provisions one can find and the fact is most FCPA enforcement actions (using that term in the most technical sense) do not even involve foreign bribery. Case in point is yesterday’s SEC enforcement action finding that FMC Technologies violated the FCPA’s books and records and internal controls provisions when it overstated profits in one of its business segments. The name of this company might ring a bell because earlier this year FMC Technologies disclosed FCPA scrutiny of the more traditional type. An interesting aside, in May 2016 FMC announced that it will combine with Technip (a company that resolved a $338 million FCPA enforcement action in 2010, the 9th largest settlement amount of all-time). 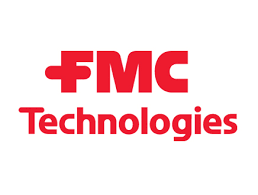 “This matter involves various books and records and internal accounting controls violations by FMC Technologies, Inc. and two of its former executives: segment controller Jeffrey Favret and his subordinate, business unit controller Steven Croft. During the first quarter of 2013, Favret and Croft improperly reversed required accruals to improve their segment’s results. Their improper adjustments, which overstated their segment’s pre-tax operating profits by $800,000 in that period, enabled the segment to meet its internal target. Favret and Croft continued to understate this accrual inappropriately in part of the second quarter of 2013. Favret and Croft also failed to comply with FMCTI’s internal accounting controls by not reporting internally, as required, that they had corrected a $730,000 error recorded in 2012 that increased their segment’s operating results in the first quarter of 2013. Within about two weeks of discussing this correction, Favret and Croft signed management representation letters attesting there had been no out-of-period adjustments larger than $250,000 recorded during the period ending March 31, 2013. Separately, Croft failed to comply with FMCTI’s internal accounting controls by directing that his business unit switch to a new accounting system before obtaining assurance that the new system would operate properly. This failure resulted in errors that significantly overstated the segment’s results in two quarterly periods in 2014. Based on the above, the SEC found that FMCTI violated the FCPA’s books and records and internal controls provisions and that Favret and Croft caused FMCTI’s books and records and internal controls violations as well as knowingly falsified books and records and knowingly circumvented a system of internal controls. As noted in the SEC’s release, FMC Technologies, Favret, and Croft consented to the SEC’s order without admitting or denying the findings. In addition to the $2.5 million penalty to be paid by FMC Technologies, Favret agreed to pay a $30,000 penalty and Croft agreed to pay a $10,000 penalty. It is interesting to note that the SEC agreed to resolve the matter – involving a deliberate attempt to “cook the books” by parent company executives – for $2.5 million. There is no mention in the SEC’s order of a voluntary disclosure. Compare this to a typical SEC FCPA enforcement action involving books and records and internal controls violations that involve foreign bribery. Often such enforcement actions originate with a voluntary disclosure, involve less egregious conduct, and rarely include an allegation or suggestion that anyone at the parent company was actively involved in the improper conduct. Yet such actions frequently settle for much higher amounts. For instance, BHP Billiton was an official sponsor of the Beijing Olympics and provided tickets to a few alleged “foreign officials” and that matter – which found books and records and internal controls violations – was resolved for $25 million. The FMC enforcement action is not the only recent SEC books and records and internal controls enforcement action to highlight this troubling dynamic. Yet the settlement amount was only $1 million. A basic rule of law principle is consistency. In other words, the same legal violation ought to be sanctioned in the same way. When the same legal violation is sanctioned in materially different ways, trust and confidence in law enforcement agencies is diminished. As highlighted above and in this prior post titled “Same Alleged Legal Violations, Yet Materially Different Sanctions,” there sure seems to be a lack of consistency between how the SEC resolves FCPA books and records and internal controls violations. Lennox International – The Most Absurd FCPA Voluntary Disclosure Ever?